For hours, please go to Events >> Upcoming or Calendar. 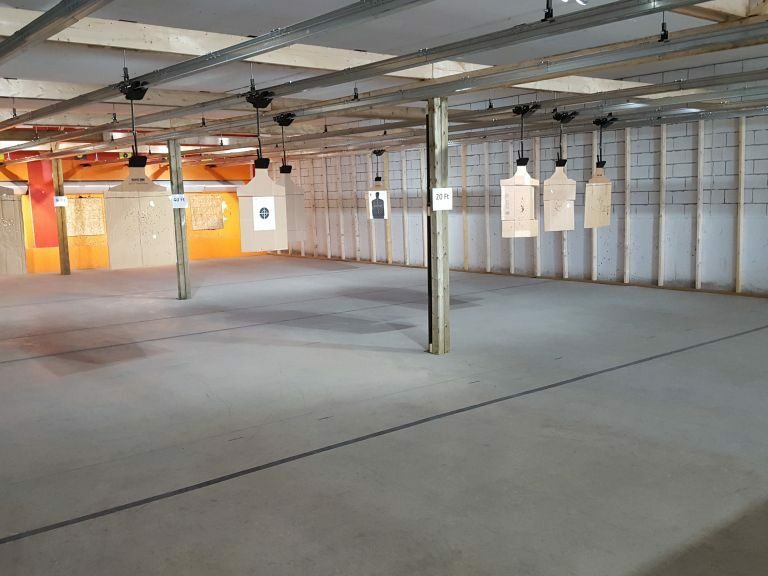 The indoor range is heated, and is located at land location SE8 50 26 W3. Travel east on Highway 303 for 10.8 km to Range Rd 3265, turn left (north) and drive 2 km to Range Rd 3264A, turn left (north again) and drive 100 m, then turn right (east). Range site is located on your left side. 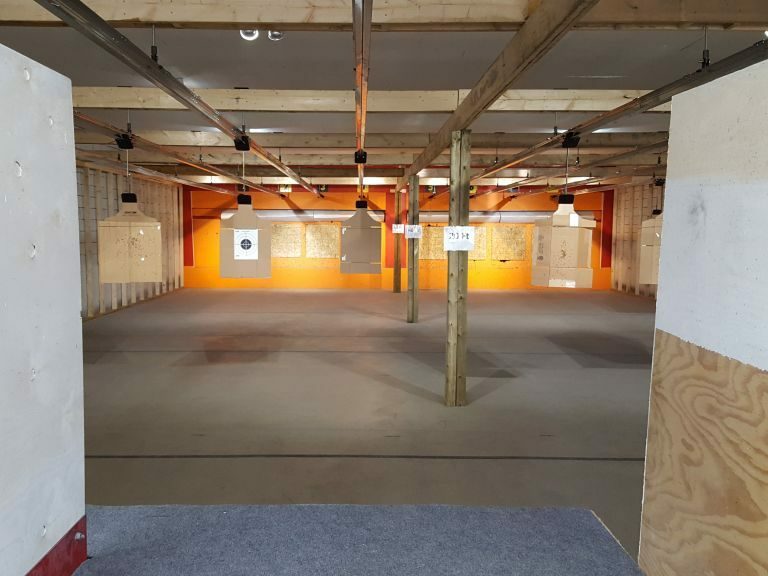 Indoor range is located at the top of the hill. 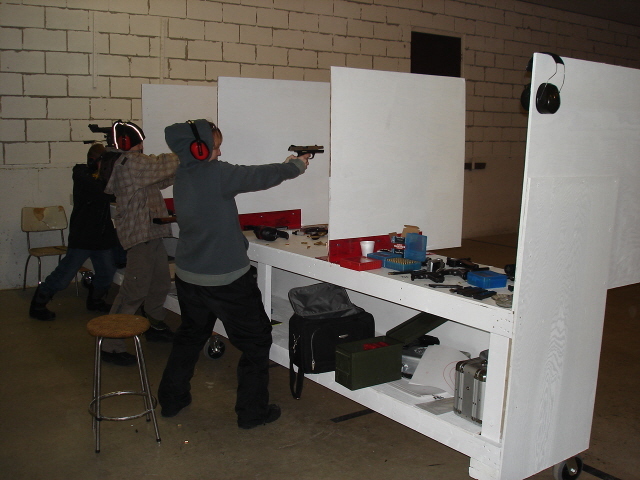 From October to May, the indoor range hosts indoor pistol and small arms. You are required to purchase an indoor range membership for $35.00, but first you must be a member of the Lloydminster & District Fish and Game. See membership page for more information on this. Visitors are welcome to come and observe. Memberships are available form Shep’s Sports, Magnum Gun Outfitters, Prophet River Firearms and Wildside Outdoors. We will be open from 6pm to 9pm on Wednesdays and 3pm to 6pm on Sundays for the winter season when our Volunteer Range Safety Officers are available. Please check Events >>Upcoming or Calendar to find out if we have someone to open on any scheduled day. For more information or to volunteer to help, please contact Darwin Girdauckis at 780-808-1802. The RSO running the session will have membership forms that can be sold on the spot. At a recent meeting, it was decided that we won’t have handguns holstered at the range. 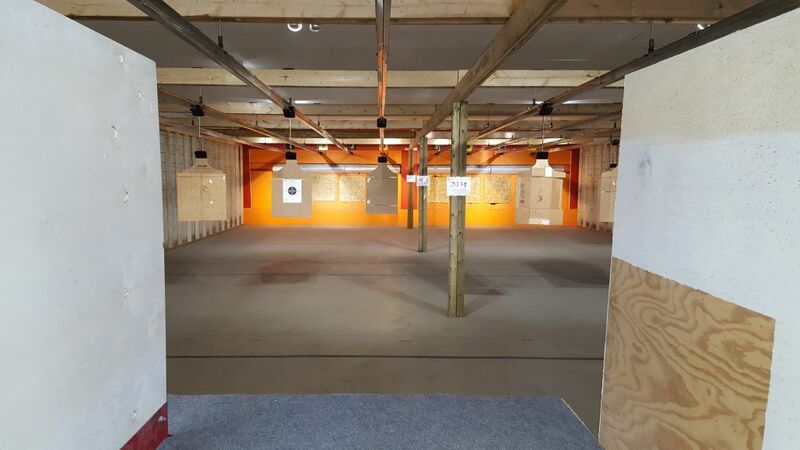 Just a quick note to shooters of magnum calibers at the indoor range! Please use only soft nose ammunition to preserve our backstop. No FMJ in magnum calibers please! If you are shooting surplus ammo, please check it for steel cores. A magnet will stick to the projectile end of the cartridges if it is steel core. 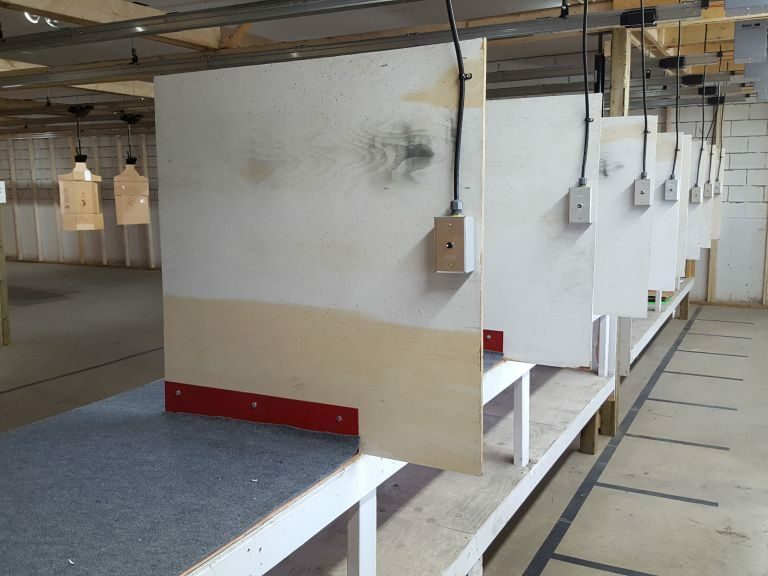 Don’t use steel core ammo in the indoor range. Thanks to all who have opened for us this season & last! If you are a current RSO and are free to open, please email dgirdauc@telusplanet.net to pick a date.